The rumors about new Halo movie are existing for a long time, but only recently we have got to know at least some more or less specific information about this project. 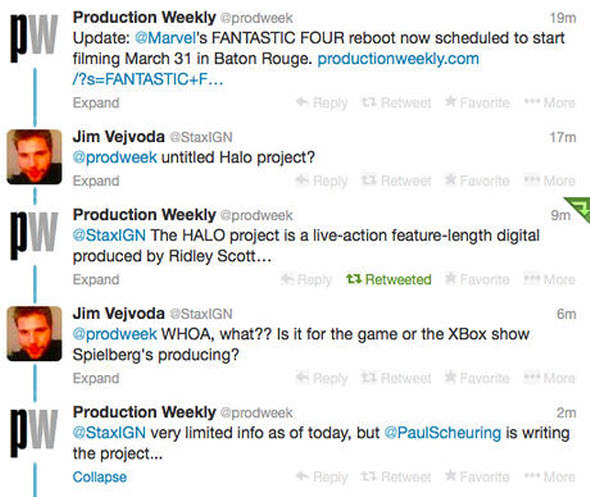 Thus, yesterday, during the message exchange between Production Weekly and Jim Vejvoda (the executive editor at IGN Movies) in Twitter, it became known that the new feature-length Halo movie is going to be shot. Also, according to these messages, the producer of the project will be none other than Ridley Scott - the famous English film director and producer, who has created such films as Alien, Kingdom of Heaven, Gladiator and many others. A script will be written by Paul T. Scheuring - American screenwriter and director of several films and TV series (his most famous series is Prison Break). As for the release date of the movie, actors who will take part in the shooting, or the place of the filming, so far there is no specific information. And what do you think about the alleged Halo movie? Would you be glad to watch another film adaptation of Halo game series? Your answers can be posted in the relevant section at the bottom of the page.